We're proud to have served communities throughout the South since 2000. As we continue to grow and develop our programs and resources, evaluation is key. In the past few years, we've deepened our evaluative efforts. Highlights from our recent Education Program Evaluation, conducted by Dr. Tobin Belzer, are available here. Additional information and evaluation results are available by contacting our various departments. We also hope the footprint map of service below and 2016 year-end "By The Numbers" highlights to the right will inspire you to learn more about our work! 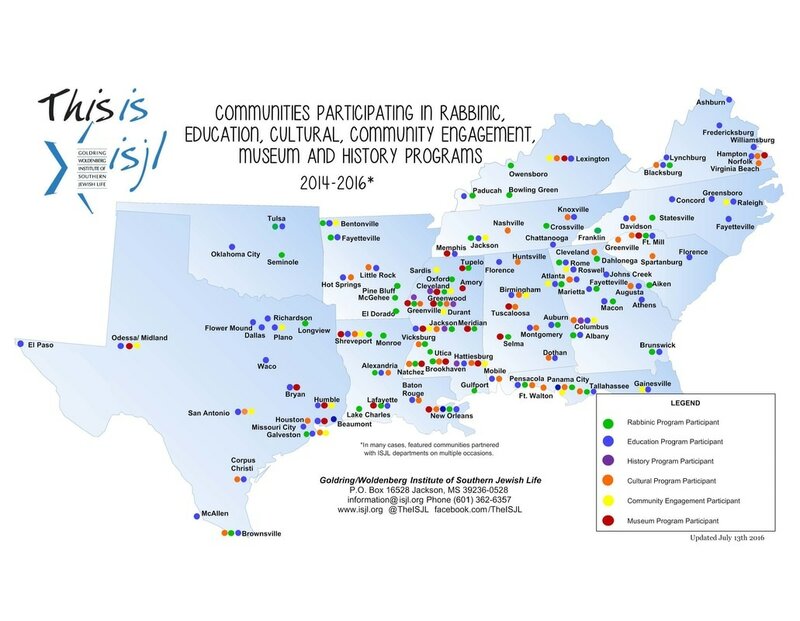 The ISJL conducted 283 visits to 85 Southern Jewish Communities in one year! We also had more than 250,000 visits to our website, and tens of thousands of shares of our Southern & Jewish blog.